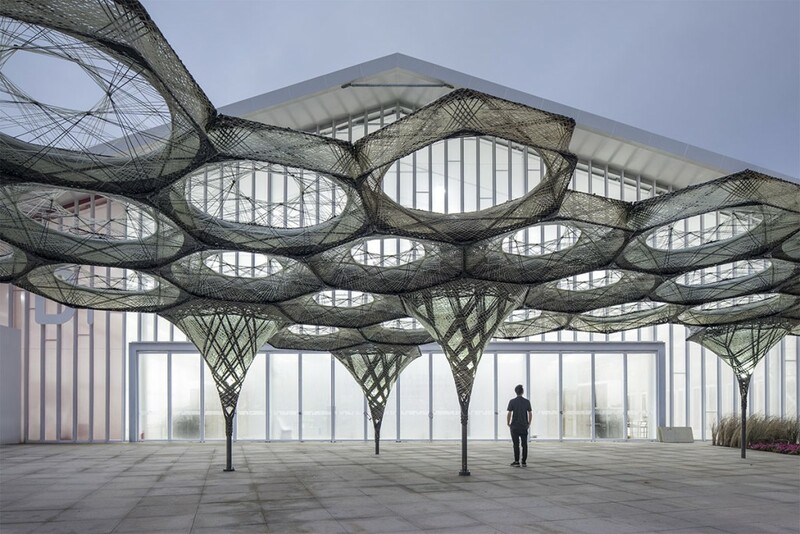 The Elytra Filament Pavilion comprises 40 unique hexagonal components that have been robotically fabricated from a combination of transparent glass fibre and black carbon fibre. 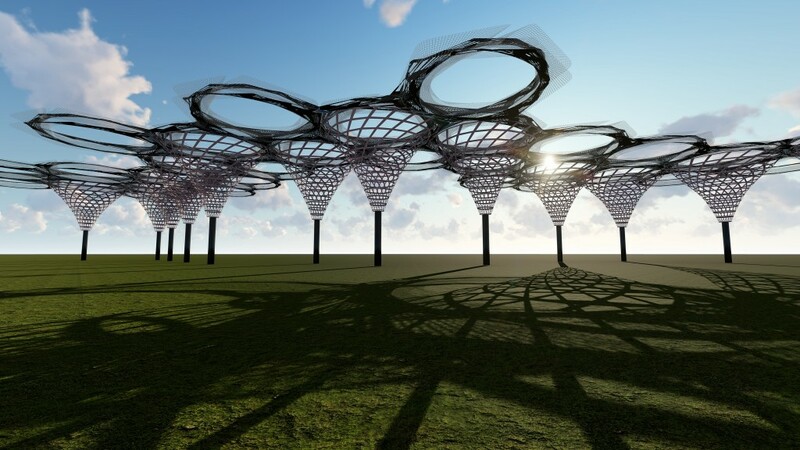 The web-like design of each component is based on the fibrous structure of beetle’s forewings – named elytra.The pavilion is designed and produced by architect and researcher Achim Menges, in collaboration with architect Moritz Dörstelmann, structural engineer Jan Knippers and climate engineer Thomas Auer. Create a hexogonal grid and define a curve in rhino and set it to grasshopper . Using Curve closest point , get the grids closest to the curve and move it up to get the desired height . Rotate and scale the hexagons between the 2 heights to achieve a twisting shape. Interpolate the points on the hexagons to get the curves . Now with the use of hexagons at the top , use evaluate points to get a point of each curve. Divide the curves and join it with the evaluate points to create the interlacing pattern . APPLICATIONS FOR IAAC GLOBAL SUMMER SCHOOL ARE NOW OPEN!